Dimensions 1.75 by 10.50 by 12.75 in. Packaged in a custom illustrated slipcase with two original prints! From his first appearance in Amazing Fantasy #15 in 1962, to his appearance in numerous blockbuster films, Spider-Man has captivated legions of fans, young and old alike. 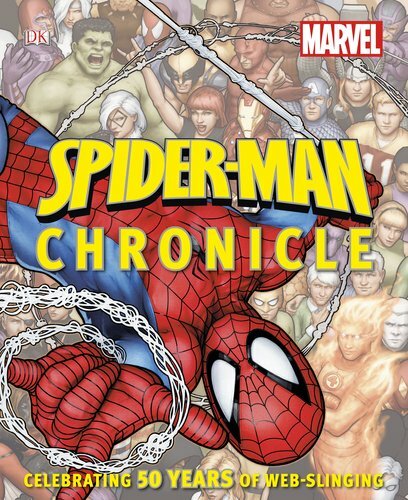 With DK's fascinating chronicle format, this guide traces the development of your friendly neighborhood web-slinger by decade, looking at comics, storylines, and character â year by year, month by month. Readers will get to take a closer look at the writers and artists who created the hero, the development of his iconic costume, and the key story arcs, allies, and foes that make up Spidey's world. â¢ & Â© 2012 Marvel & Subs. About: Packaged in a custom illustrated slipcase with two original prints!